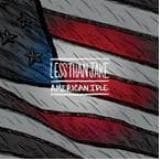 Titled American Idle, the single includes the titletrack (a popular standout from See the Light) andthe b-side "Late Night Petroleum" (a brand newsong thats packed with as much fuel as the nameimplies). American Idle is yet another classicpunch of LTJ delivered just in time for their nextUS conquest. The pressing is limited, so get inthere while you can. 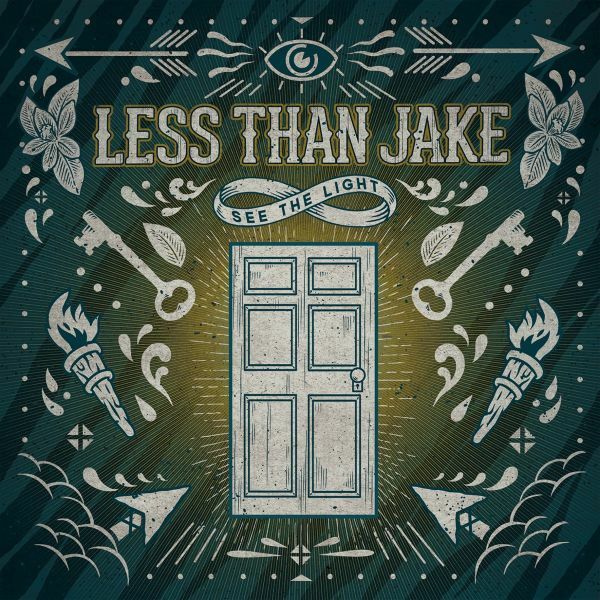 Hot on the heels of their return to prominence with the release of See the Light, LESS THAN JAKE are gearing up for a summer headlining the Vans Warped Tour. As the band that can claim the most ever appearances, LTJ are set to continue their reign as the kings of the most renowned annual tour around. To up the ante the guys put together the Do the Math single to be released in conjunction with the start of the tour. 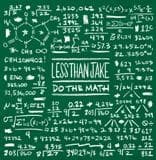 Made up of the title track (a bouncy, mid-tempo fan-favorite from See the Light) and the b-side "Connect the Dots" (an instantly catchy, previously unreleased gem), Do the Math is the perfect shot of LTJ to keep the party rolling all summer long. It is a limited pressing, so get it while you can. "Goodbye Blue & White" pays tribute to the bands first tour van. This contains hard to find compilation and vinyl tracks and was originally released on a limited basis for shows and mail order only. Limited repressing on blue vinyl! On Golf records. 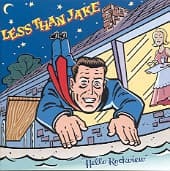 Less Than Jake are without a doubt one of the most popular bands in the US scene and their impact on the UK/Euro market has been increasingly. This double cd feat. the band's topselling Capitol Records releases "Hello Rockview" and "Losing Streak", which have notched up combined sales of 500.000 in the US alone. Features a bonus cd-rom track of "All My Best Friends Are Metal Heads". Their first full-length in five years, See the Light. Throughout a career that has run the gamut from self-releases and small indie imprints to large independent labels and major music conglomerates, the bands arc has led them back to the proud status of a DIY collective that works together, much the way they began. The result of their approach is the old school sound of See The Light. 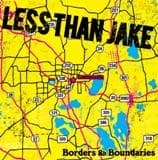 The album recaptures the bouncy energy and essence of the genre defining classics Pezcore and Losing Streak, while looking through the fresh lens of experienced and cohesive song writing that LESS THAN JAKE have honed overtheir long haul together. One listen to the lead single "My Money Is On the Long Shot" and youll know exactly what weregettin at. From start to finish See the Light is a springy powder keg of fun songs filled out with poignant lyrics and undeniable sing-along melodies; its the perfect embodiment of exactly the kind of electrically charged sound that originally put LESS THAN JAKE at the top of their genre and has kept them there ever since. featuring Billy Bragg singing on the B-side.